A 3rd party broker that specializes in mortgages guaranteed by the US government. An FHA loan is a type of government insured mortgage. FHA loans do not normally require a large downpayment and may have many advantages over conventional loans. Begin your free FHA loan approval now and apply for a lender rebate of up to 2.75% ($28,000 maximum) of the loan amount. → What Are FHA Home Loans? → Why Have FHA Loans Become So Popular Again? → What Is The Difference Between An FHA Loan And A Conventional Mortgage? → Can I Finance My Closing Costs? → I Have Bad Credit, Can I Use An FHA Home Loan? → What Kind Of Property Can I Buy Using An FHA Home Loan? → How Many Times Can I Use An FHA Loan? What Are FHA Home Loans? An FHA insured home loan is considered one of the best loan choices available today for any homebuyer seeking a low down payment combined with relatively easy qualifying standards. The Federal Housing Administration (FHA) is part of the U.S. Department of Housing and Urban Development (HUD). FHA does not actually make the loan. The loan is actually funded by an approved FHA lender in conformance with FHA lending guidelines. FHA simply protects the lender from loss in the event of borrower default. By guaranteeing the loan, FHA is providing a type of federal assistance which helps low and moderate income homebuyers afford a home. The FHA program was created in the 1930’s during the Great Depression as a tool to stimulate the US economy and stabilize the housing market. Since that time, many millions of low and moderate income borrowers have purchased or refinanced their homes using FHA loans. Why Have FHA Loans Become So Popular Again? During the housing boom, FHA loans were not so widely used. In 2007, FHA loans only made up about 3% of all loans funded nationally. During that time, FHA loans were not as attractive as conventional loans due to FHA’s loan limit restrictions, higher mortgage insurance costs and stricter appraisal guidelines. At that time, conventional loan products offered interest only options, 100% financing choices and low doc alternatives that tended to outshine the benefits offered by FHA loans. Today, just about all of the loan products that previously competed with FHA loans are no longer available. Lenders now consider the previous products to be too risky and many people accuse those loan products (especially subprime products) as the root cause of the financial crisis and ultimately responsible for undermining the entire world economy. In 2018, it was estimated that one out of every five mortgage loans originated in the United States is an FHA Loan! This is because FHA loans are considered easier to qualify for while also offering a lower down payment (3.5%) than the 20% required for most conventional loans. Another factor that has made FHA loans more competitive is the fact that real estate values have decreased, yet FHA loan limits remain unchanged. Therefore, many more homes are eligible for FHA financing than ever before based on the maximum loan sizes available in relation to typical sales prices. If you are interested in obtaining a loan quote, contact one of our Government Loan Specialists at 877-432-LOAN (877-432-5626). What Is The Difference Between An FHA Loan And A Conventional Mortgage? With an FHA insured loan it is possible to finance a purchase of up to 97.5% of the sales price. The FICO score requirement is lower for an FHA loan. Usually a conventional loan will require a 620 FICO score. FHA will allow you to have a FICO score as low as 500 but a larger down payment is required. Most lenders that we work with will allow a 3.5% downpayment with a score of 580 or higher. You can be two years out of bankruptcy or 3 years from a previous foreclosure. 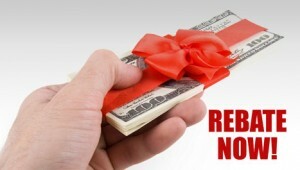 The down payment can come as a gift and the closing costs can be paid for by the seller or lender. You can use a cosigner to help you qualify. 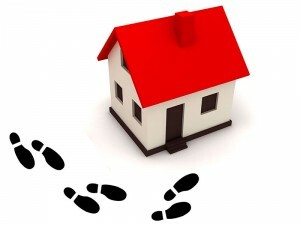 The loan can be assumed by a new buyer if you decide to sell your home at a later date. Some FHA loans allow you to borrow more than the purchase price to pay for repairs. Many conventional lenders require at least a 680 – 700 FICO score if you want less than a 25% down payment. Most conventional loans now typically require anywhere from 10 to 30 percent down. Typically, conventional loans involve much stricter qualifying standards. 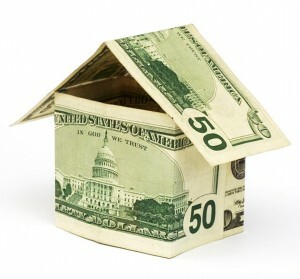 Waiting times for bankruptcies and foreclosure are usually much longer with conventional loans. The source of the down payment will usually be required to come from the borrowers own funds and usually the borrower must also have the funds to pay the closing costs. 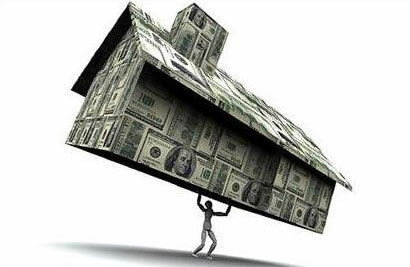 Often the borrower must have up to 6 months PITI in cash reserves after the close of escrow. A disadvantage of the FHA loan is the upfront mortgage insurance (UFMIP) that is required. Conforming loans do not have upfront mortgage insurance. FHA loans also have annual mortgage insurance (MIP), while conventional loans have private mortgage insurance (PMI) which can be less than MIP. Government House Loans do not normally require perfect credit or a large down payment unlike most conventional mortgage loans. Even if you happen to have less than stellar credit, you may be able to qualify for a low interest rate loan with as little as 3% or 5% down. With a conventional loan, if you have average credit there is also a low down payment option available but these usually have higher interest rates than FHA loans. With an FHA loan, the upfront mortgage insurance can be financed into the loan and the annual fee becomes part of your monthly payment. All things considered, FHA loans are still considered a more attractive option as compared with conventional loans. With the much easier qualifying standards and lower down payment requirements often the FHA loan isn’t just a better choice, it can often be the homebuyers only choice for getting a loan. With an FHA loan, your closing costs usually cannot be financed into the loan amount. However, almost always they can be paid by the seller or the lender. Federal Home Loan Centers can provide a lender rebate up to 2.75% ($28,000 maximum) toward your closing costs on a purchase transaction. Your down payment doesn’t have to come from your own funds either. The down payment can come as a gift from a family member, employer or approved down payment assistance group. FHA loans also allow for a non-occupant cosigner to help the borrower qualify for the loan. Non-traditional credit sources such as insurance, medical and utility payments can be used to help build credit history if traditional credit is unavailable. With an FHA refinance, you can significantly lower your monthly payment with no out of pocket costs and may even be able skip a monthly payment during the process. I Have Bad Credit, Can I Use An FHA Home Loan? FHA loans are not just for 1st time homeowners. For those that qualify, an FHA loan is often a great low cost way for move up buyers to get a safe and secure 15 year or 30 year fixed rate loan even if they happen to have damaged credit and/or not much money in the bank. Although not every borrower will qualify, the FHA program has lower qualifying standards (580 mid FICO score) than a conventional mortgage. What Kind Of Property Can I Buy Using An FHA Home Loan? FHA loans can be used to purchase or refinance a single family home, duplex, triplex, four unit property or condominium just as long as the borrower will be occupying one of the units. FHA loans can be used to purchase a rehab “fixer-upper” property. FHA will allow you to borrow up to $50,000 to pay for repairs after you own the home. Another advantage of an FHA loan is that it is assumable, which means if you want to sell your home, the new buyer can take over your loan. In the past, as interest rates decreased over time, most people weren’t interested in assuming someone else’s loan. However, in a time when interest rates are a record low, rates are likely to go up. In a few years, having an assumable loan could turn out to be a distinct advantage. Just as it was during the great depression, the FHA Insured loan program is helping Americans to regain the American dream of home ownership in these tough times. To find out more, contact a Government Loan Specialist by calling 877-432-LOAN (877-432-5626) today! Must have valid Social Security number, lawful residency in the U.S., and be of legal age to sign a mortgage in your State. Must have a minimum down payment of at least 3.5% to apply toward the purchase price (the down payment can be gifted by a family member and closing cost can be paid by the seller, lender or the borrowers employer up to 6% of the sales price). Mortgage payment (including PITI) needs to be less than 31% of your gross monthly income. Total monthly debt (mortgage, credit cards, auto, student loans, etc.) cannot be more than 43% of your monthly income. Must be at least two years out of bankruptcy, with good credit. Must be at least three years from a foreclosure, with good credit. Must have a minimum credit score of 580 (FHA-qualified lenders will use a case-by-case basis to determine an applicants’ credit worthiness). How Many Times Can I Use An FHA Loan? The intention of an FHA loan is to provide assistance to low and moderate income wage earners helping them to take part in the joy and benefit of homeownership. The program is generally for a borrower to have one FHA loan at a time. However, there is no limit to the number of times a borrower can obtain an FHA loan. Apply for a 2.75% lender rebate on your closing costs. Contact Federal Home Loan Centers today and speak with a Government Loan Specialist by calling 877-432-LOAN (877-432-5626) or use the form above. We were skeptical that we could not get a house after our Foreclosure. We are homeowners again!! Federal Home Loan Centers is an approved originator of mortgage loans guaranteed by the US Government. The United States Department of Housing and Urban Development insures FHA mortgages originated by Federal Home Loan Centers. The The United States Department of Agriculture and the Department of Veterans Affairs guarantees mortgages originated by Federal Home Loan Centers. Federal Home Loan Centers is not a governmental agency. The terms Origination Portal, Home Loan Portal are properties of Federal Home Loan Centers.